Providence, RI (4/25/2012): America’s most successful and respected high school hockey coach will be presented with the R. I. Reds Heritage Society’s 2013 R. I. Native-born Hockey Achievement Award. Normand “Bill” Belisle will receive the honor at the organization’s 12th annual reunion at Goddard State Park in Warwick on Sunday, Aug. 5. The award, inaugurated by the Society in 2011, is given to a Rhode Island native-born individual who has made significant contributions towards the advancement and public image of “Our Sport” and in doing so has brought statewide, national and worldwide attention to the quality and proud history of ice hockey excellence produced here in Rhode Island. The two previous winners have been Sara DeCosta Hayes (2011), Olympic star goaltender, and Lou Lamoriello (2012), president and general manager of the NHL’s New Jersey Devils. Tickets for the Reds annual reunion are now on sale to the public. Charge is $35 per adult, $15 for children ages 6-12, and free for kids under age 6. For more information call 401-247-2666 or visit www.rireds.org. Belisle is the winningest high school hockey coach in the country with more than 900 victories and his Mount St. Charles Academy teams once set a national record by winning 26 consecutive championships between 1978 and 2003. Since then he has racked up four more state titles, giving him 30 in all in his 38-year tenure as head coach of the Mounties. Born in Manville, he still makes his home in that Blackstone Valley village. He attended St. James Parish School and Mount St. Charles Academy where he was a member of the Class of 1948. At Mount, he played hockey and baseball and, in his junior year, the hockey team won the state championship. Bill is a veteran of the Korean War and he attained the rank of staff sergeant. He returned to Manville after the war and married. He and his wife Yvette have four sons, including David who works closely with him on the Mount hockey coaching staff. Bill has served the Manville community for more than 20 years as a voluntary fireman. 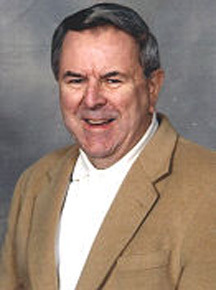 In 1954, Bill began his coaching career, first with the Manville CYO junior high school baseball team, which won the diocesan, state and New England championships, the first ever for a parochial school. Later, he organized the first Little League farm team in Manville. In 1974, Bill became manager of the Brother Adelard Arena at Mount St. Charles and a year later began his illustrious career as head coach of the hockey team. In the years since he has become a legend among boys hockey teams in the United States. In March 2011, he celebrated a true milestone, when his team scored the 900th victory of his career. Bill’s accomplishments and honors are many and varied. They include 100 consecutive wins in Interscholastic League games and exhibitions, and 94 consecutive victories in the Metropolitan “A” Division. His teams were ranked number 1 in high school hockey in the United States more then 10 times. He has been elected to the R.I. Heritage Hall of Fame, and the Woonsocket Heritage Hall of Fame, and also has received the Cumberland-Lincoln Rotary Club Outstanding Achievement Award. He was the first Rhode Island hockey coach to receive the Mariucci Award from the American Hockey Coaches Association. Bill and his Mount team were commemorated by Sports Illustrated magazine in January 1985, and also in a 1989 Rhode Island Monthly magazine article. The SI article by writer Robert Sullivan praised both Brother Adelard and Belisle for making hockey history at The Mount. The article characterizes Belise as “a hard-bitten rink rat” and mentions that, before coaching, he had been a truck driver and construction worker and had played for the semi-pro Worcester Warriors. Nearly two-dozen of his Mount St. Charles players have been drafted by National Hockey League teams. Among them are Brian Lawton who in 1983 became the first American in NHL history to be picked Number 1 in the draft. Other notable NHL draftees include Bryan Berard, Mathieu Schneider, Brian Boucher, Keith Carney, Paul Guay, Jeff Jillsion and Garth Snow. Belisle’s run of 26 consecutive state titles also was the subject of a 2006 documentary titled “Ice Kings” which opens with a brief history of the game of hockey in R.I. and the professional Rhode Ialand/Providence Reds team. The premise is that in Rhode Island ice hockey is as important a part of the culture as is the game of football in Texas.